I always wanted to read a Stephen King book and what a book to begin! Gripping story, flawless flow, and well described characters are the three phrases that come into my mind when I try to explain how this was to read. I actually had a few goosebumps when I was reading the book. I generally am a slow reader and I do not read more than a few chapters a day. But with this book, I just couldn’t help but read along. Every night I used to tell myself at least thrice that it would be the last chapter before I go to bed, and actually read a few more before getting realized that I was running so late. It was really un-put-downable in its true sense. What impressed the most in the book was how the characters were so elegantly presented to the reader in the beginning and then when you have them so close to you, the story took off with its fullest pace. When it did, it really got into my head. Stephen King’s seasoned writing skills were clearly visible as I went on reading, and I could not find even a single paragraph that I thought was unnecessary (Which I find in so many). So, If are a fiction reader and you haven’t read this book yet, I strongly recommend that you read this. I really don’t think there is anything I can take away from this book, and I can whole-heartedly rate the book 10 out 10 without a second thought. It’s absolutely a perfect work of fiction and makes a place right among my Top 3. 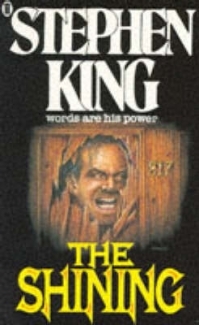 This entry was posted in Book Review and tagged book, book review, horror, perfect, review, stephen king, the shining. Bookmark the permalink.